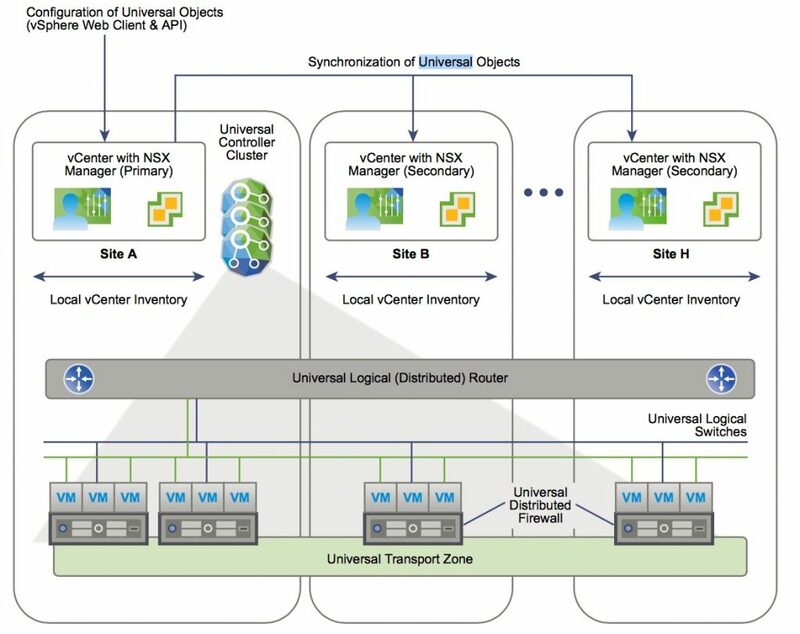 In NSX 6.1 and earlier, if multiple vCenter NSX environments are deployed, they must be managed separately, but in 6.2 you can create universal objects on the primary NSX Manager, which are synchronized across all vCenter Servers systems in the environment. 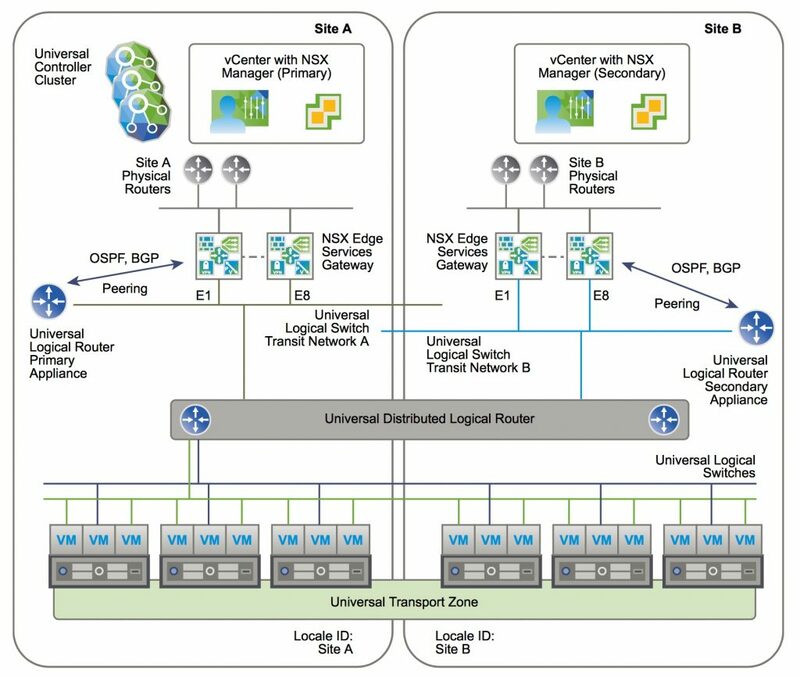 Increased span of NSX logical networks -> the sam logical networks are available across vCenter NSX env -> it’s possible connect to the same logical net the VMs on any cluster on any vCenter. Support of new mobility boundaries in vSphere 6, including cross vCenter and long distance vMotion across logical switches. Centralized management of universal objects, reducing administration effort. Increased mobility of workloads – VMs can be vMotioned across vCenter Servers without having to reconfigure the VM or change firewall rules. Enhanced NSX multi-site and disaster recovery capabilities. On NSX manager has primary NSX manager role and the others automatically gain the secondary NSX manager roles. Universal controller cluster: each cross-vCenter NSX environment has one universal controller cluster associated with the primary NSX Manager. Secondary NSX Managers do not have a controller cluster. It maintains information about universal logical switches and universal logical routers as well as logical switches and logical routers that are local to a vCenter NSX pair. there’s only one universal transport zone per cross-vCenter environment. The segment ID pool is used to assign VNIs to logical switches, and the universal segment ID pool is used to assign VNIs to universal logical switches. These pools must not overlap. you must choose whether to enable local egress, as this cannot be changed after creation -> Local egress allows you to control what routes are provided to ESXi hosts based on an identifier, the locale ID. It supports cross-vCenter vMotion which enables you to move workloads or virtual machines from one vCenter Server to another and seamlessly extends your software defined datacenter security. 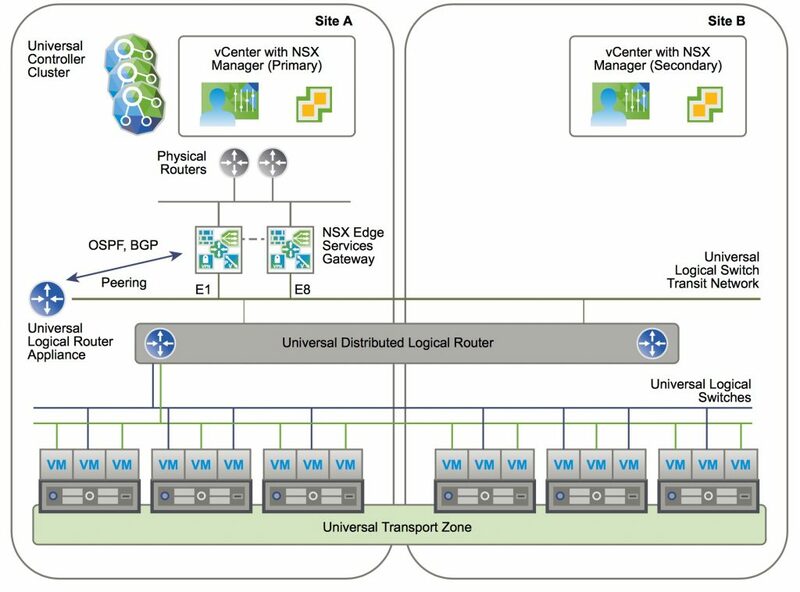 Register vCenter with NSX Manager: Only one NSX Manager can be registered with a vCenter. Changing a vCenter registration can lead to an issue in which the change does not get communicated correctly to all affected vCenters and NSX Managers. Assign a Universal Segment ID Pool on the Primary NSX Manager: Enter a range for universal segment IDs, such as 900000-909999. When determining the size of each segment ID pool, keep in mind that the segment ID range controls the number of logical switches that can be created. Choose a small subset of the 16 million potential VNIs. You should not configure more than 10,000 VNIs in a single vCenter because vCenter limits the number of dvPortgroups to 10,000. If VXLAN is in place in another NSX deployment, consider which VNIs are already in use and avoid overlapping VNIs. 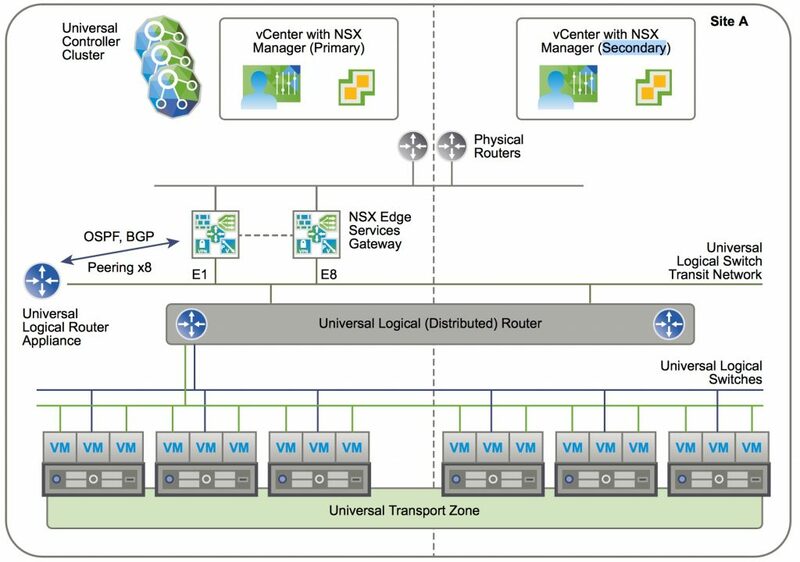 Non-overlapping VNIs is automatically enforced within a single NSX Manager and vCenter environment. Local VNI ranges can’t be overlapping. However, it’s important for you make sure that VNIs do not overlap in your separate NSX deployments. Non-overlapping VNIs is useful for tracking purposes and helps to ensure that your deployments are ready for a cross-vCenter environment.